The message – sent on his behalf by the Vatican Secretary of State, Italian Cardinal Pietro Parolin – expressed the pope’s solidarity with the Egyptian people, and commended the victims of the attack to the mercy of God. “In renewing his firm condemnation of this wanton act of brutality directed at innocent civilians gathered in prayer, His Holiness joins all people of good will in imploring that hearts hardened by hatred will learn to renounce the way of violence that leads to such great suffering, and embrace the way of peace,” the message said. 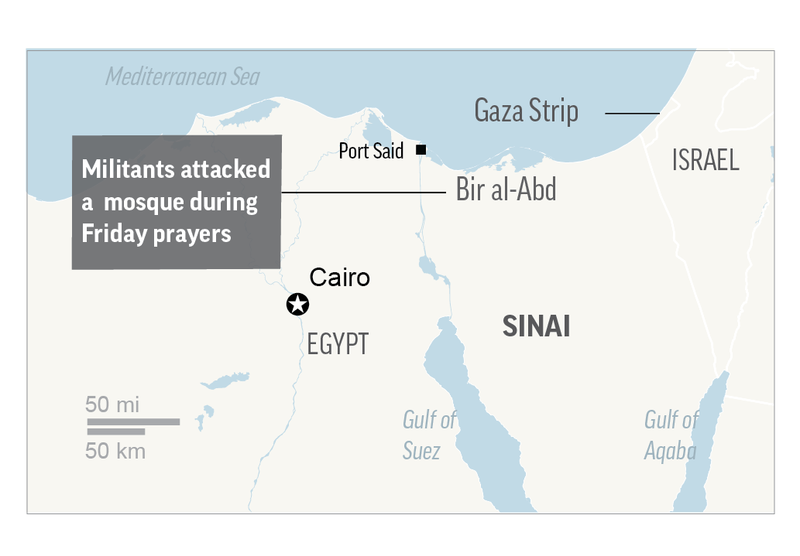 Seeking to spread the violence, the militants the past year have carried out deadly bombings on churches in the capital, Cairo, and other cities, killing dozens of Christians. The IS affiliate also is believed to have been behind the 2016 downing of a Russian passenger jet that killed 226 people. Dozens of bloodied bodies wrapped up in sheets were laid across the mosque floor, according to images circulating on social media. Relatives queued up outside the hospital as ambulances raced back and forth. The state news agency MENA put the death toll at 235. “Local people brought the wounded to hospital in their own cars and trucks,” he said by telephone. The suffering of the victims was not in vain, he added, and will only “add to our insistence” to combat extremists. Addressing the nation later on television, he repeated his view that Egypt is fighting a battle against militancy on behalf of the rest of the world. The bishop said an attack on any religious place hurts all religions. 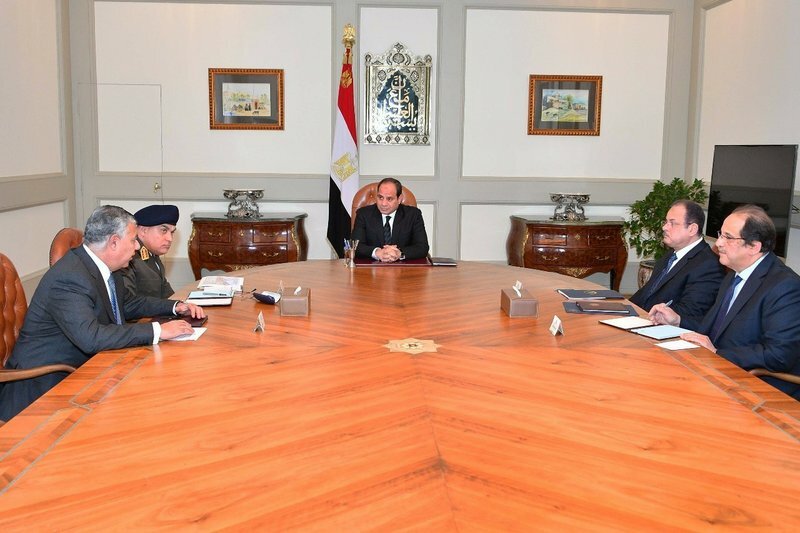 Egypt has also faced attacks by militants in its Western Desert, including an attack last month that killed 16 police, according to an official tally issued by the Interior Ministry. Security officials have told journalists that dozens more, including high-ranking counterterrorism officers, perished in the Oct. 20 attack some 84 miles southwest of the capital, Cairo. In April, Francis visited Egypt in part to show his support for Christians in this Muslim majority Arab nation who have been increasingly targeted by Islamic militants. During the trip, Francis paid tribute to the victims of a December 2016 bombing at Cairo’s St. Peter’s church, located in close proximity to Cairo’s St. Mark’s cathedral, the seat of the Coptic Orthodox Church. Ashraf Sweilam reported from el-Arish. Brian Rohan reported from Cairo. Crux staff contributed to this report. Associated Press writer Samy Magdy in Cairo contributed to this report. Nirmala Carvalho in Mumbai contributed to this report.